Sylvester Stallone is officially locked in for The Expendables 4, that much we know. Yes, after much back and forth, with the actor’s alleged fallout with Nu Image/Millennium chairman Avi Lerner leading fans to think that his time playing the cigar-chomping Barney Ross was done, Sly was finally able to reach an agreement that would allow him to return to the franchise for one last hurrah. Whether this was meant as a tease of more news to come, or simply just Sly feeling a bit nostalgic, his post has got fans hyped up for the fourth installment in the series and asking when we’ll receive a status update. Or, better yet, a confirmed roster. After all, we’re still unsure of who, exactly, will jump back on the bandwagon in time for Expendables 4. Jason Statham and Dolph Lundgren are the safe bets, while we imagine that folks like Wesley Snipes, Jet Li, and Star Wars legend Harrison Ford have said goodbye to the franchise. Ditto for Bruce Willis, who was going to reprise his role in The Expendables 3 before a messy fall out with Stallone. 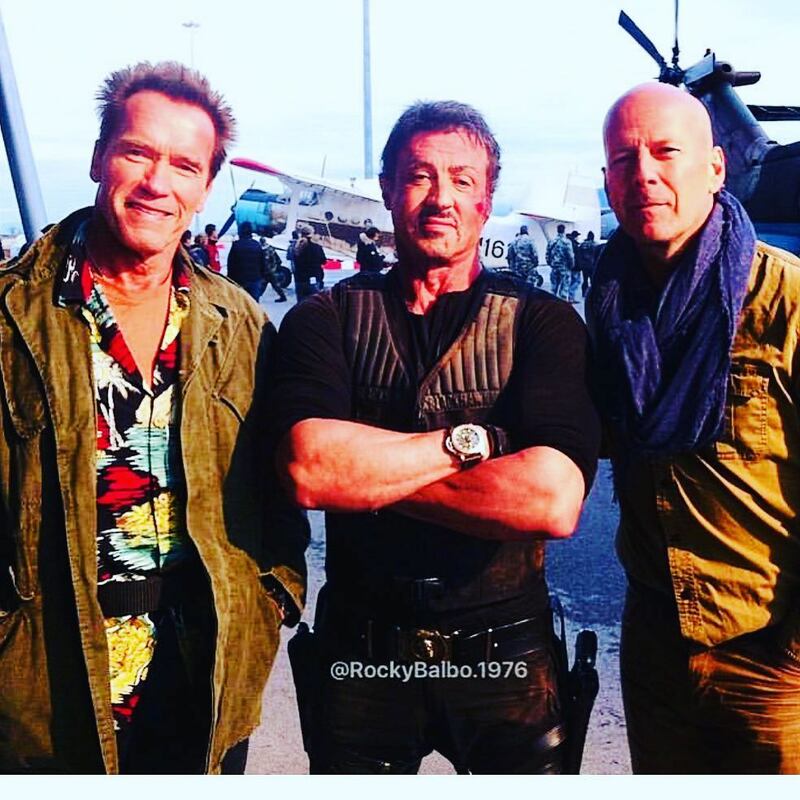 In any case, with The Expendables 4 heading into production at some point in the next few weeks, we imagine the always active social media user that is Sylvester Stallone will have more updates for us shortly.